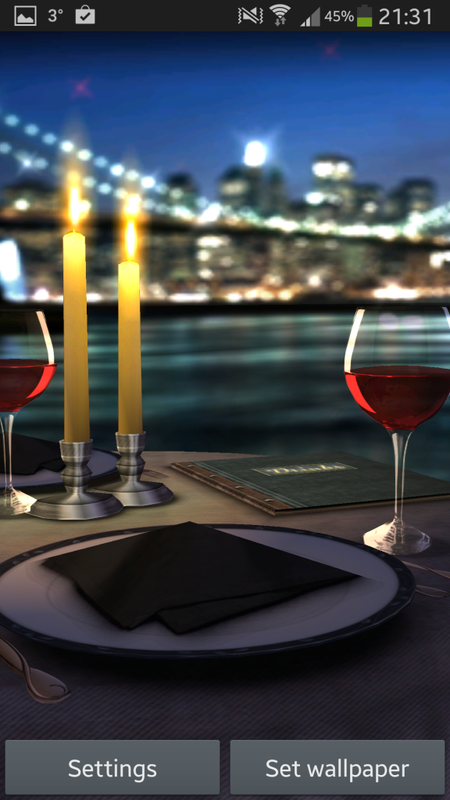 My Date HD developed by DualBoot Games is a 3D Live Wallpaper for your Android device that is sure to set the scene for Valentines Day and get you in the romancing mood. 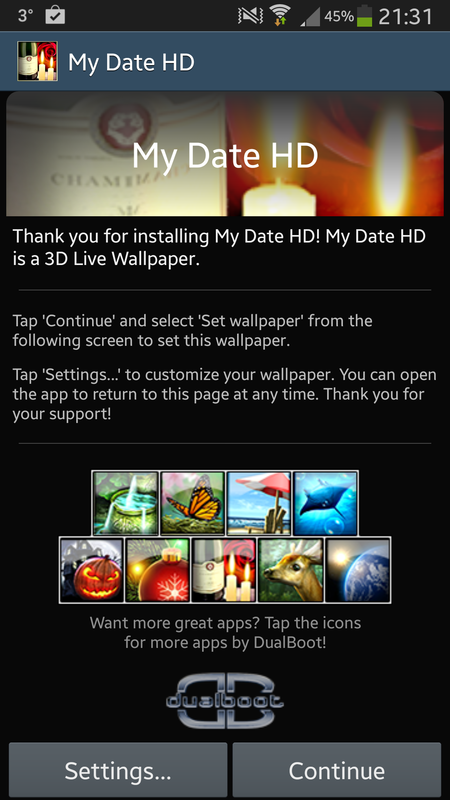 My Date HD is not like any other live wallpapers however, since the App offers a wide range of customisation options and various scenes to decorate your device with. There are numerous scenes prebuilt into My Date HD offering different locations and layouts from around the world. Perhaps you’d like to enjoy dinner at a restaurant in Barcelona at night, or maybe a view of the Brooklyn Bridge is more your taste? 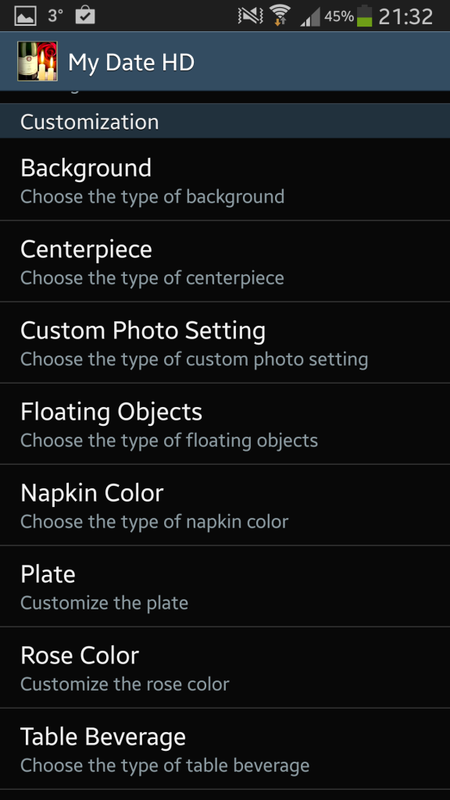 My Date HD caters for these options, placing your live wallpaper into a setting that will have you imaging you were right there. 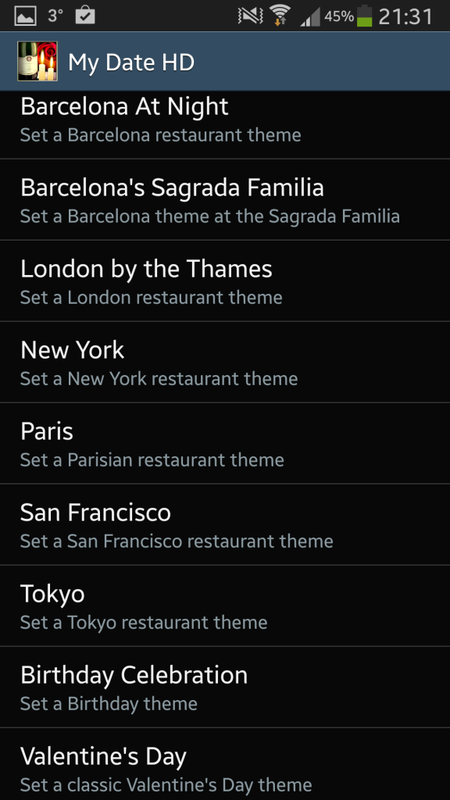 It’s not only the scenes that can be customised – the entire App can pretty much be changed to your liking, right down to type of centerpiece used on the table. 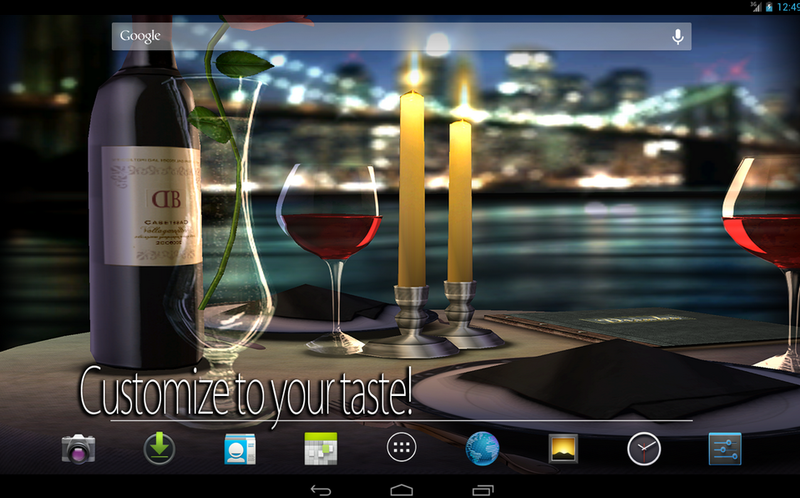 The developers really have gone to town on customising the 3D Live Wallpaper to exactly your taste. 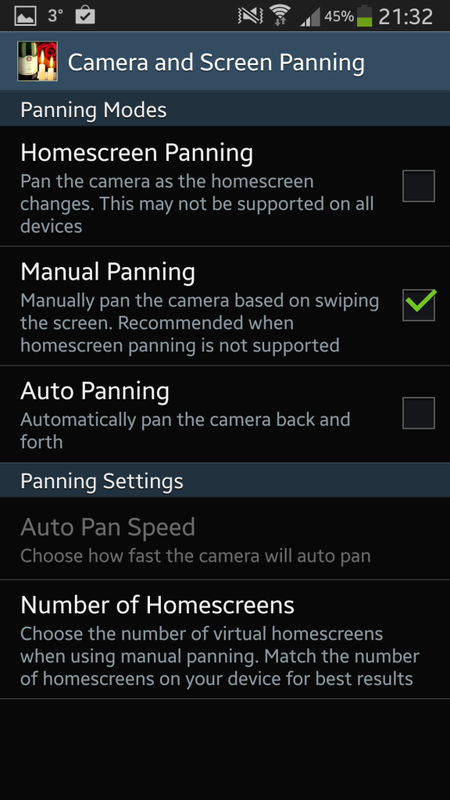 One thing I would change in the settings is the panning mechanism to automatic, since when using manual panning the live wallpaper moves when moving between homescreens, which works perfectly well, but when you have busy homescreens like I do, having the background move as well as all the widgets, Apps, and folders is somewhat disorientating. Overall, My Date HD is a fantastic addition to your device just in time for Valentines Day, and whilst it’s not suited just for this holiday, there’s no better way than My Date HD to add that romantic touch to your Android device. You can grab My Date HD for only $0.99 from the Google Play Store right now!